I love animals! Want to help out other animals in my community. I have grown up with animals since I was a little girl my first animal was a little rat called lala, and helped my mother look after them later in life given most of the responsibility of feeding them and cleaning up after them. I've had rabbits, horses, rats, a dog which was a cocker spaniel, and cats. My cat gave birth to kittens when I was young and I helped care for the kittens. I now have me own puppy called Elvis. I have my own pup called Elvis! Elvis and I will take your dogs to the park and run around with toys with or without my pup. I'm happy to update you on how our walk goes. 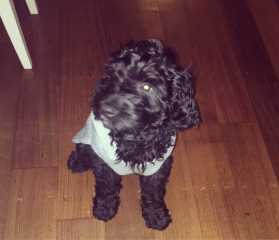 Chaneln05's Dog Walking service is located in or nearby Armadale, Victoria. Book via PetBacker for Insurance, Payment protection & 24x7 support. If you have hired Chaneln05 before, leave a review now. Contact Chaneln05 now with your pets info. If Chaneln05 is busy, we can help include similar Backers.